My family and I try to visit Israel at least once a year. We usually stay in Tel Aviv and make day trips to our favorite destinations– Jerusalem, Galilee, Masada, Caesarea. But Tel Aviv is our home base. My husband grew up near Tel Aviv, and many of our friends live there. In the evening we stroll along the waterfront, taking in the warm sea breezes and beautiful sights. If we’re hungry, we’ll stop by one of the many seaside cafes and grab a boureka and a Turkish coffee. There is nothing better than sitting beside the Mediterranean noshing on a flaky, freshly baked boureka. Back home, when I’m missing Israel, the first thing I do is bake a batch of fresh bourekas. This week, I made Potato Cheese Bourekas from leftover baked potatoes that I had in my refrigerator. I thought I’d share the recipe with you today. They’re not only tasty, they’re also a terrific way to use up leftover potatoes. Don’t you just love when a recipe helps you use up the extra stuff in your fridge? Plus Shavuot is coming up, a Jewish holiday traditionally celebrated with dairy foods. These bourekas would be a tasty addition to a Shavuot menu. You can use leftover baked potatoes or mashed potatoes. Or, you can bake a fresh potato for the filling– they’re good enough to make the extra effort. I’ve provided instructions for all three methods below. 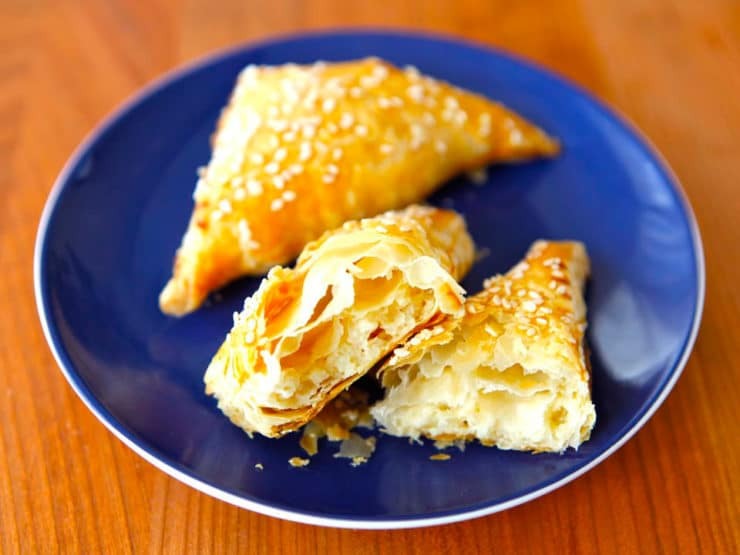 Bourekas are really easy to make, especially if you use store-bought puff pastry or filo dough. They freeze well; you can make them ahead and pop them in the oven just before your meal. I like to keep a stash in the freezer for unexpected company. I use Israeli feta in my bourekas, it’s creamy and slightly sweet with the perfect texture. A good quality Greek feta will work well, too. Don’t buy the pre-crumbled variety—a block is better, and it’s easy enough to crumble yourself. Kashkaval cheese can be found in most kosher stores and Middle Eastern markets. If you can’t find kashkaval (which has a really unique, nutty flavor), substitute another ¼ cup of feta cheese. Some people like making bourekas with puff pastry (store bought or homemade), while others prefer filo (phyllo) dough. Puff pastry bourekas are softer and thicker, while filo bourekas are lighter, crisper, and more delicate. I like them both ways. For this blog, I used puff pastry. They can just as easily be made using filo dough – click here to learn how. The filling recipe would remain the same for either style of boureka, so you can experiment to figure out which style you like best. If you’d like to learn more about what a boureka is, and the history behind this popular savory treat, click here. 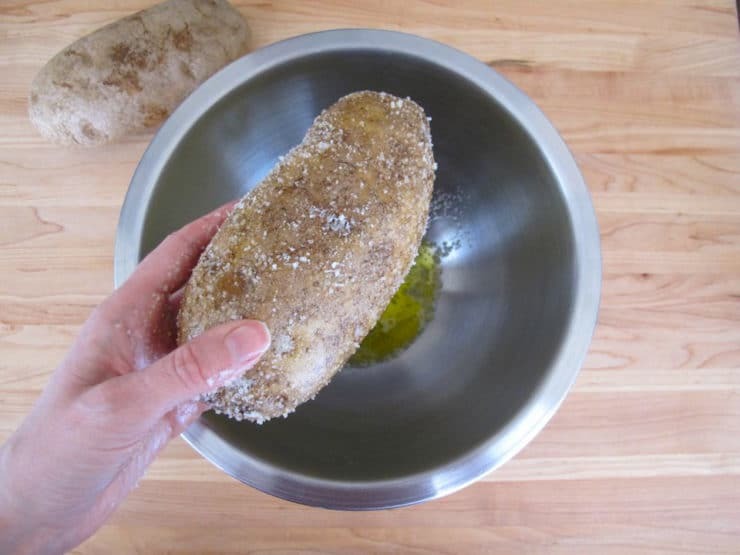 Hold the potato over a mixing bowl and rub it with extra virgin olive oil, then coat lightly with kosher salt. Place the potato directly on the middle rack above the baking sheet. Let the potato bake for 60-70 minutes till soft inside. Squeeze the potato after baking to test for doneness-- it should give when you apply pressure. Remove potato from the oven and let it stand uncovered till cool. 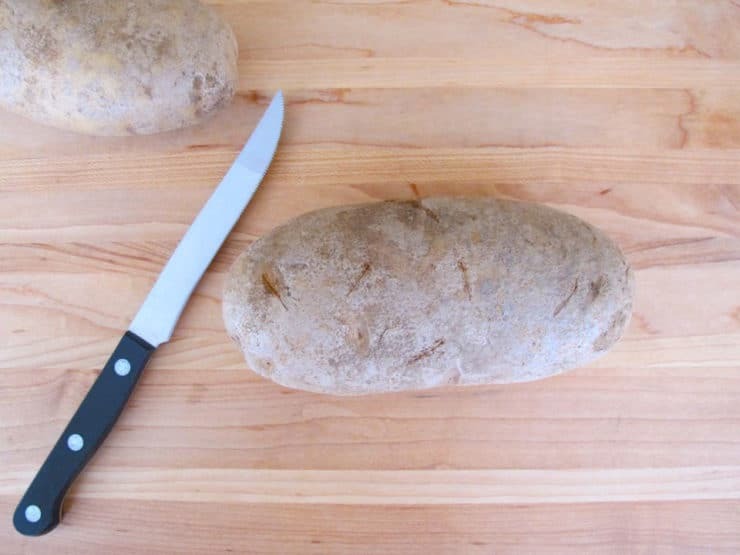 Peel the potato with your fingers, then mash it. You should end up with about 1 cup of mashed potatoes. Alternatively, you can use a leftover baked potato for this step (of the correct size). You can also use leftover mashed potatoes (make sure they're dairy or pareve if you're keeping kosher). 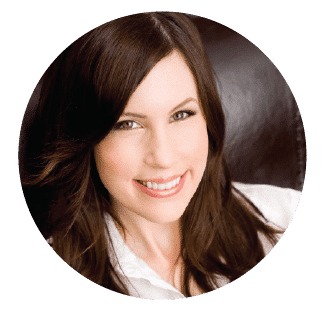 You'll need about a cup of cold or room temperature mashed potatoes total, no matter which of these methods you choose. Preheat oven to 350 degrees F. In a mixing bowl, combine mashed potato, feta, kashkaval, egg, a pinch of salt and a pinch of black pepper (if using all feta cheese or pre-seasoned mashed potatoes, no need to add any salt). Use a fork to mix ingredients together till well blended. Make sure to break up any large crumbles of feta with the fork. Reserve mixture. On a smooth, clean, lightly floured surface, unfold one of your puff pastry sheets. Use a rolling pin to roll out the sheet to a 12x12 inch square. 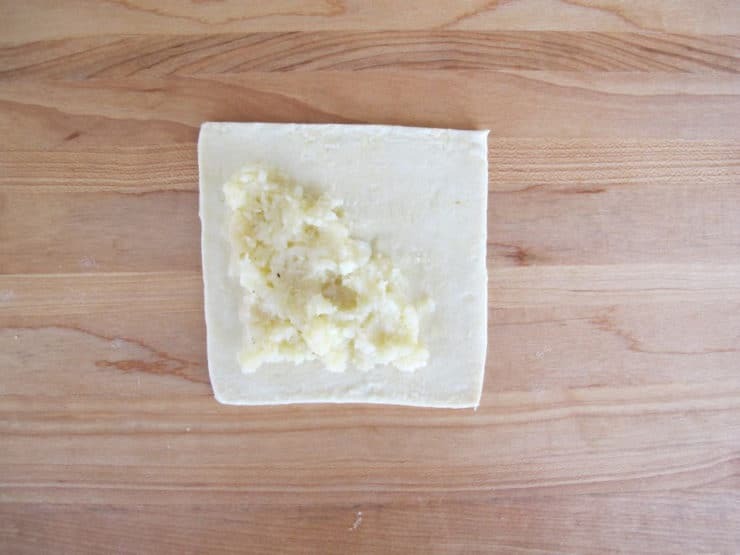 If using homemade puff pastry, roll your dough out to the same size - a 12”x12” square. 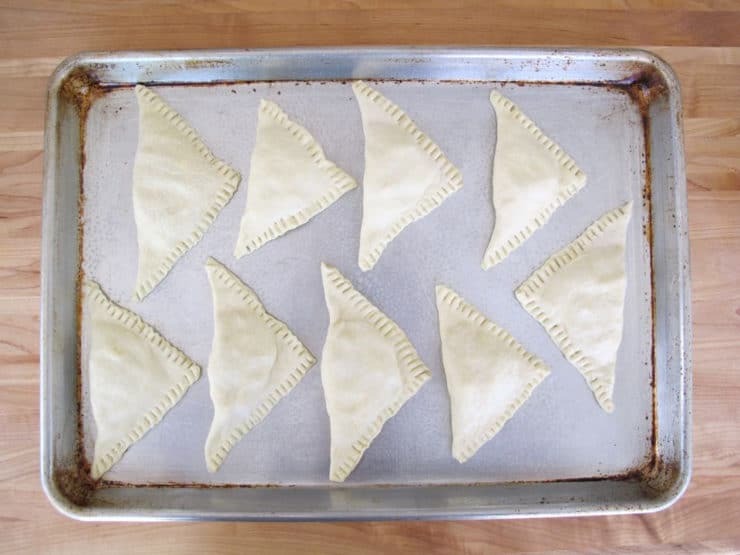 Cut the sheet of puff pastry dough into 9 equal-sized squares, each about 4”x4” large. Place 1 heaping tablespoon of the potato cheese filling on one corner of each square, spreading it out into a triangle shape 1/4 inch from the edge to halfway across the square. The filling will create a diagonal triangle inside the square. 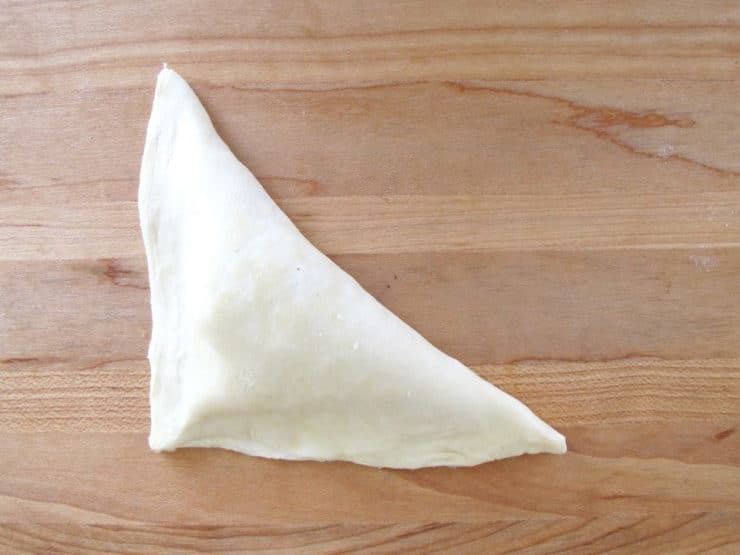 Fold the dough square by grasping the opposite corner and folding it up and over the filling to make a triangle. Pinch firmly along the outer open edge of the triangle to seal. 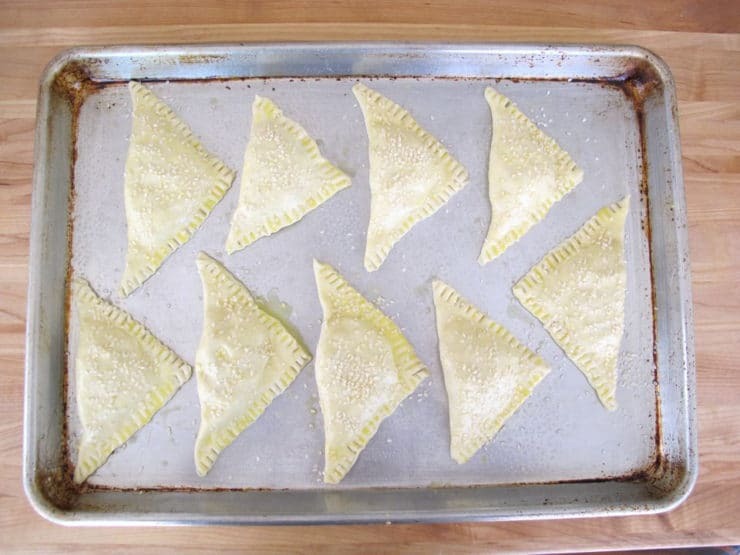 Repeat this process for the remaining squares, then for the second sheet of puff pastry—roll out the pastry, cut into squares, add filling, and seal the triangles. Spray your baking sheets with nonstick cooking spray or line with parchment paper. 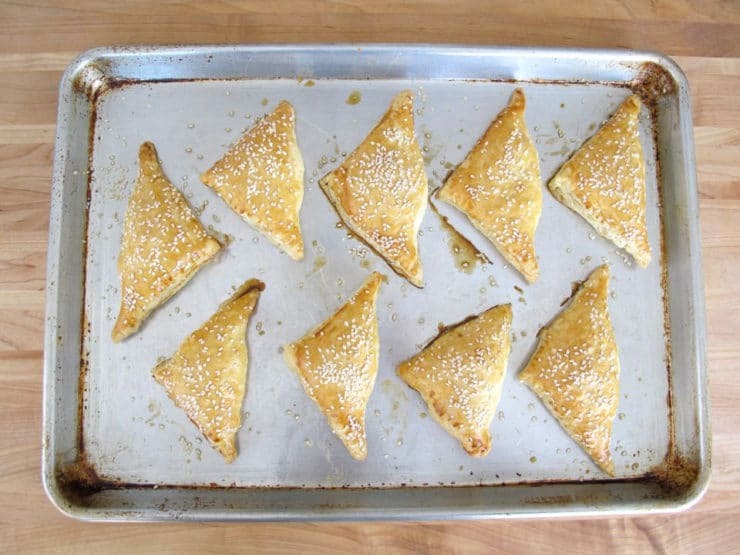 Place 9 bourekas on each sheet, evenly spaced, giving them a little room to expand during baking. In a small bowl, whisk together the egg yolk and 2 tsp of cool water. Use a pastry brush to brush a light layer of the egg wash onto the surface of each boureka. 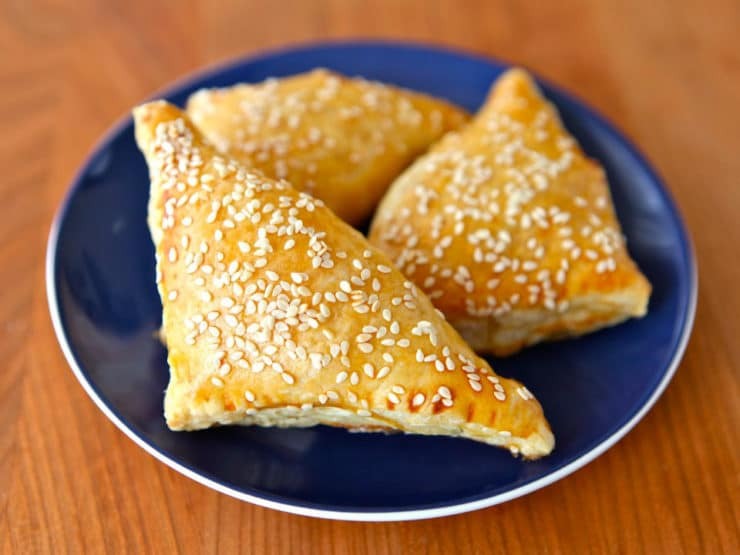 Sprinkle the bourekas with sesame or poppy seeds, if desired. Bake the bourekas for about 35 minutes, switching the baking sheets between the upper and lower racks halfway through cooking. Bake till golden brown and cooked through. When ready to bake, take the bourekas out of the freezer (no need to defrost) and arrange them on a baking sheet sprayed with nonstick oil. Coat with thin layer of egg wash and sesame or poppy seeds, if desired. Bake at 350 degrees for 35-45 minutes till golden brown, crisp and flaky. Every time I visited Palestine with my family, I’d eat some of these fresh from a local bakery. They’re great with just potato too! 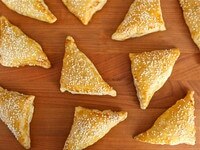 I have phyllo triangles and I’m wondering how to fill those. Any suggestions? Nice basic recipe, my first time making bourekas and they came out great. I would love you to include different filling options, like mushroom, broccoli etc. This is something I’ll definitely make again. Can you eat the, cold? 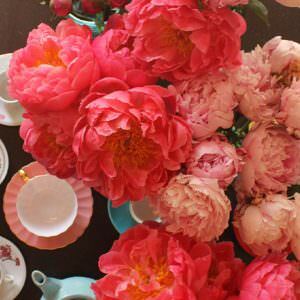 I just discovered this blog and I’m enjoying it very much. I’ve been looking for a bourekas recipe for a long time. I just wanted to point out thought that there’s no such thing as a boureka. The word is Turkish and it’s one bourekas, two bourekas, etc. Sort of like one fish, two fish. Just thought you might like to know. Great! I’m not much of a baker, so I don’t really have the experience with dough, but these still turned out delicious. Thank you for your recipes! I am nowhere close to be Israeli, but your recipes are helping me a lot to learn how to cook traditional Israeli foods! People love it! Thanks you!!! You’re very welcome, Daria, thank you for writing! I would like to make these for my wonderful Jewish friend for Shavout….can I make them ahead with the egg wash on them? Can they be refridgerated after they are made? Thanks!! Make them ahead and freeze them unbaked, but do not put the egg wash or sesame seeds on. Just before you bake them (straight from the freezer), coat them with egg wash and sesame seeds, then bake. Enjoy! Oooh, these look so delicious – perfect for lunchboxes or picnics. Will be bookmarked! Thank you posting! I’ve never had these before. They look really good. Going to have to try them out. 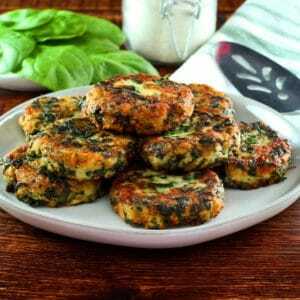 I’d like to serve these with a sauce on top but my imagination doesn’t go beyond a simple mushroom sauce for these. Do you have any other ideas? Thanks! Yum! I just had mashed potatoes for dinner so I’m totally in the mood for this! 🙂 Thanks for sharing! This sounds so good…can’t wait to try this. Love the history with the recipes. Thanks for sharing. Have a safe and joyful Memorial Day.